Scientists are working to improve their forecasts for hurricane winds and waves, and research on ocean and atmosphere interactions is boosting our understanding of the relationship between climate and the formation of hurricanes. Still, there is considerable uncertainty in predicting trends in extreme weather conditions 100 years into the future. Some computer simulations suggest possible changes in these storms due to climate change. 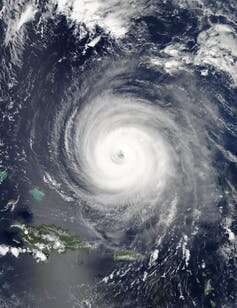 For example, scientists have computed detailed simulations of hurricane-type storms for future climate-warming scenarios and revealed that in some cases the hurricane season could be longer. 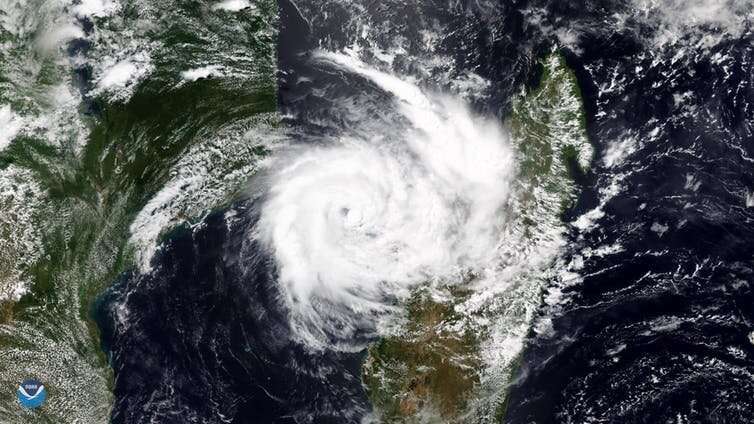 The intensity of storms could also increase so that there are more major hurricanes (categories 4 and 5 on the Saffir-Simpson scale) with winds reaching speeds greater than 209 km/h. Since these storms are fuelled by ocean heat, warmer ocean conditions will influence their intensity and longevity. This may enable them to travel further over ocean water at higher latitudes, and further across the continent after they make landfall. On the Atlantic coast of North America, the hurricane season starts in June and runs to November. We have very recent reminders that these storms can be catastrophic. Hurricane Maria, which struck Puerto Rico in 2017, caused infrastructure damage of US$90 billion and may have killed more than 4,600 people. Urban coastal areas are under a major threat, since coastal structures may not have been designed for the waves and surges that these storms generate. Hurricane Katrina, the mega-disaster that took more than 1,200 lives and cost US$161 billion in 2005,taught engineers the hard way that hurricanes can cause unanticipated loads on bridges, buildings and coastal structures. Climate change projections suggest the number of intense hurricanes will rise. Ocean warming will enable these storms to travel further, and we may see greater hurricane impacts on coasts in the future. Why was Hurricane Lane so unpredictable?